"Having made an initial purchase of the earbuds from the Peaceful Purple organization a couple months ago, I was thrilled to order 4 more this month! The quality and aesthetics, coupled with directly supporting such a worthy cause, made it an easy choice. I would highly recommend both the product - as well as the public service they are providing in further (much needed) awareness of bullying issues." "I was truly blown away at with the sound quality of these ear buds. We spend countless hours in our studio producing and it is nice to have a tool that is light weight, yet provides top quality. Besides the top quality of the ear buds, the message behind this project is outstanding and translates into any culture. 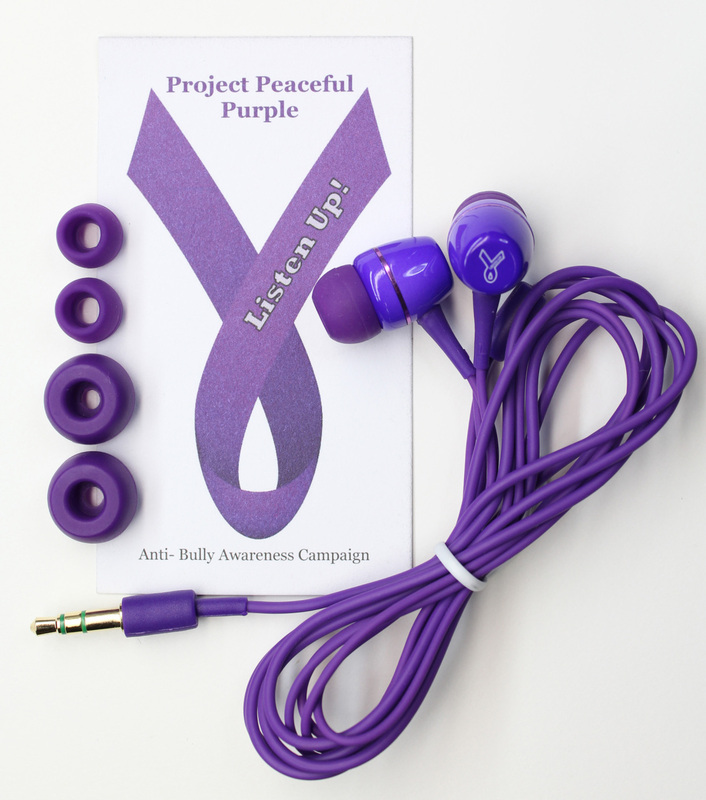 I am very proud to be apart of this team and happy to be associated with Project Peaceful Purple"
"I received a pair of the purple earphones couple of months ago. I have always used the standard white earphones that came with my iPhone, and assumed an earphone was an earphone – that there's not much difference music quality in cellphone earphones. The first time that I listened to music with the purple headphones, the sound quality was amazing! The difference in the purple earphones vs. the generic Apple earphones that I was using is simply stunning. The sound quality is, by far, the best I've ever heard using earphones. I would highly recommend these earphones to anyone who wants to hear a total transformation in sound quality using earphones!"